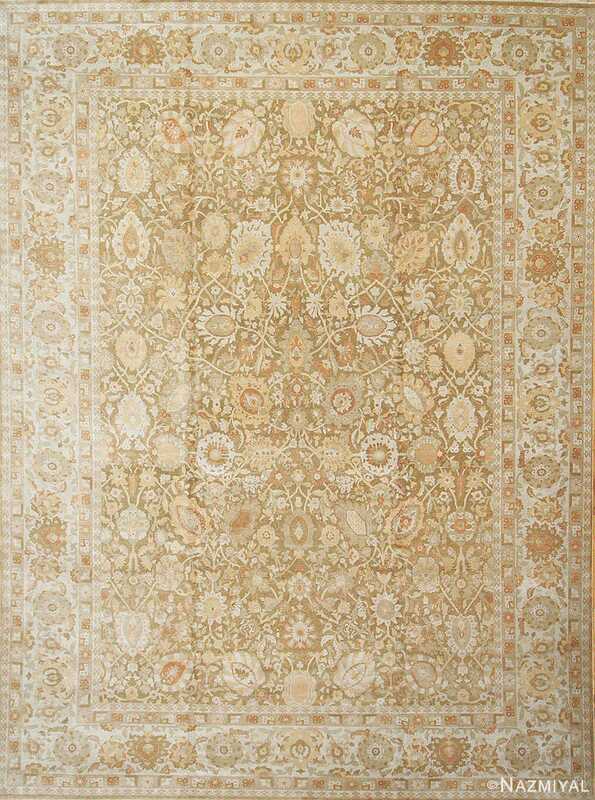 Beautiful Large Size Persian Tabriz Design Modern Egyptian Rug, Country of origin: Egypt, Circa Date: 21st Century / Modern Rug – Gentle arabesques created by a series of softly colored palmettes and small-scale rosettes decorate the chic ivory field of this contemporary Persian Tabriz rug design from Egypt. 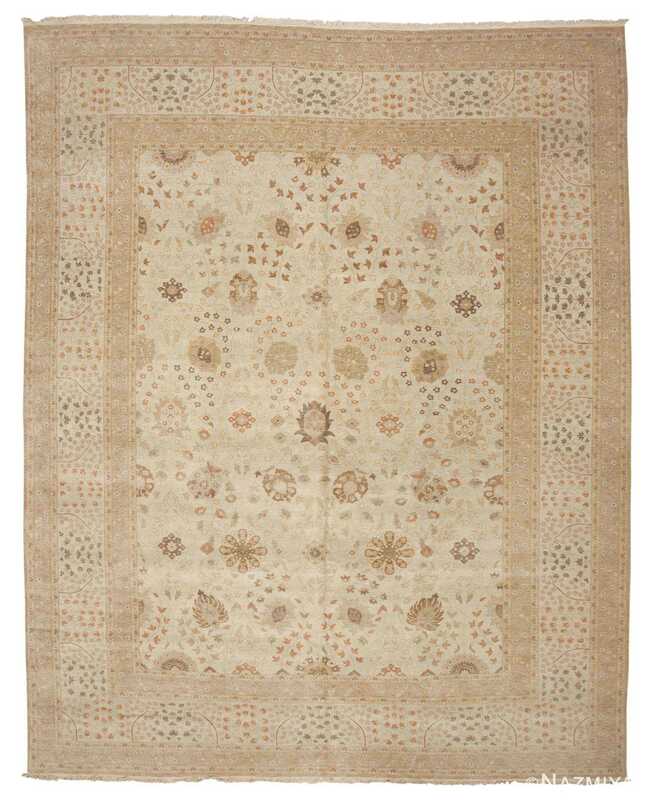 The delicate botanical arabesque is linked by a series of meandering floral sprays and sinuous vine-scrolls decorated with petite flowers and trefoil leaves. 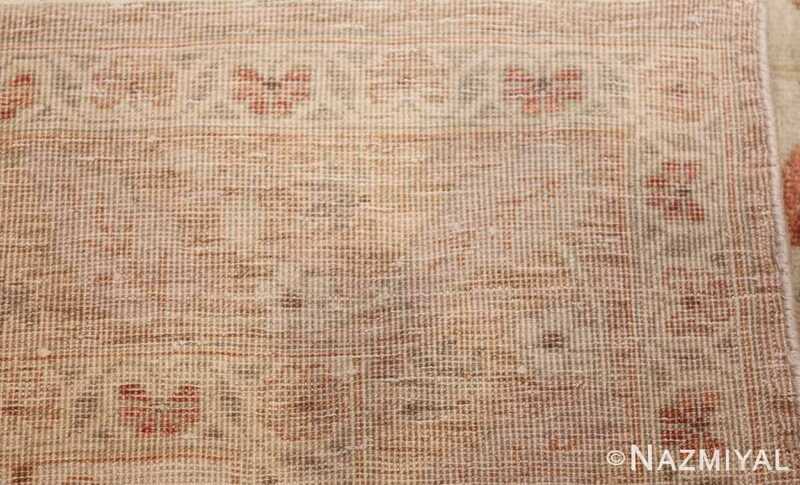 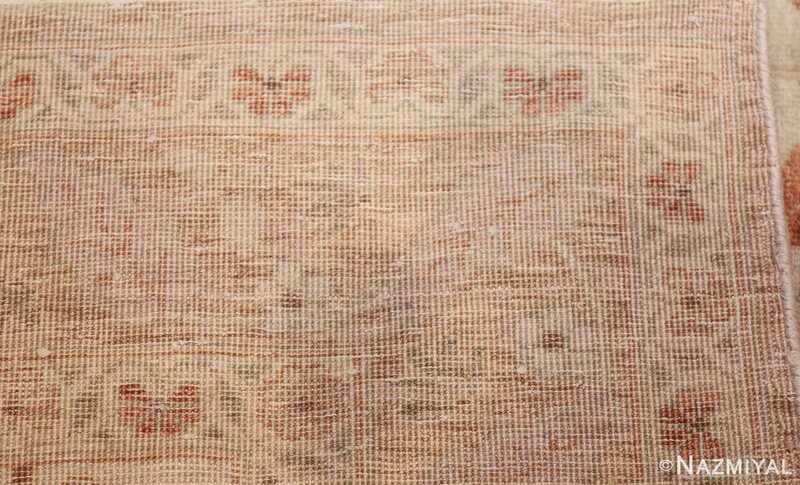 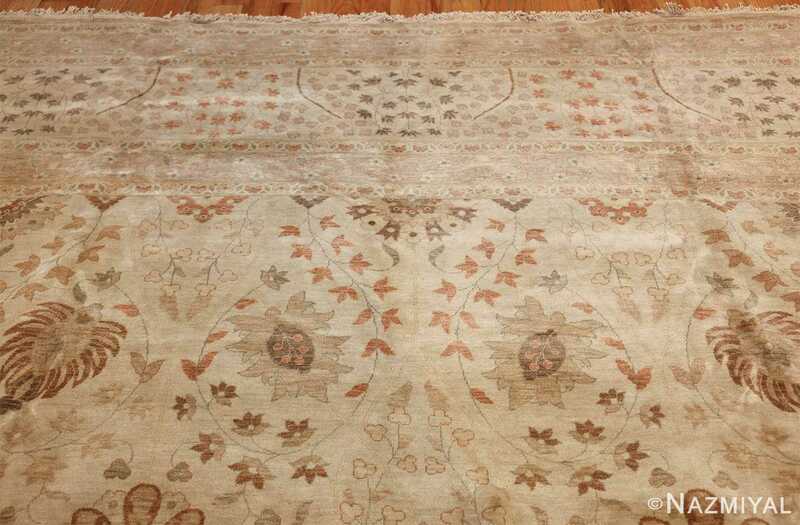 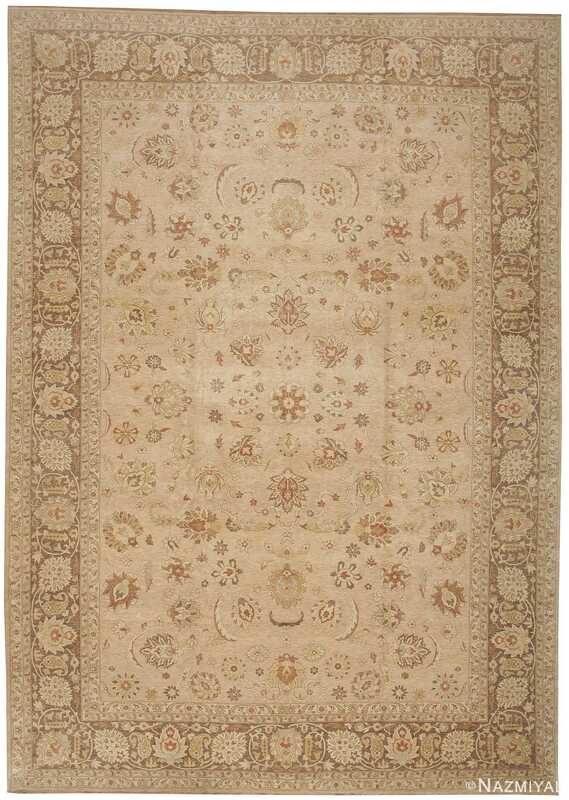 Broad main borders, wide secondary borders and dainty guard-bands surround the elegantly styled field of this contemporary Persian Tabriz style Egyptian rug. 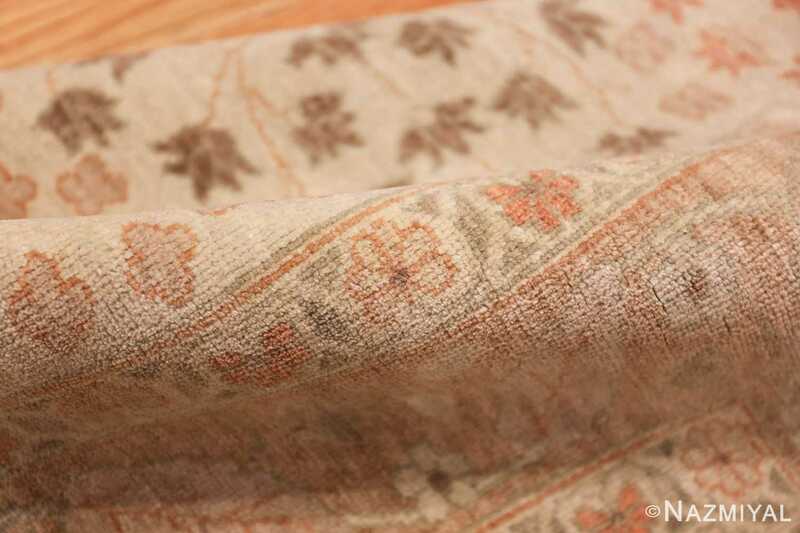 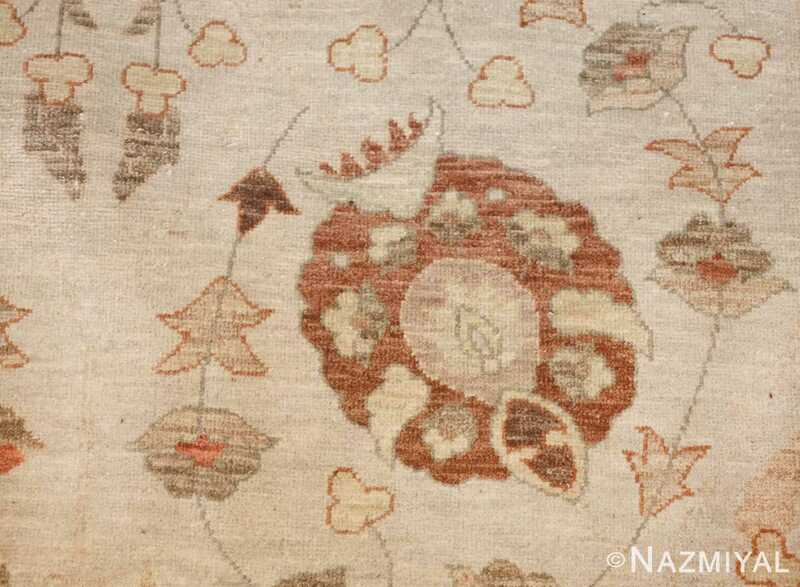 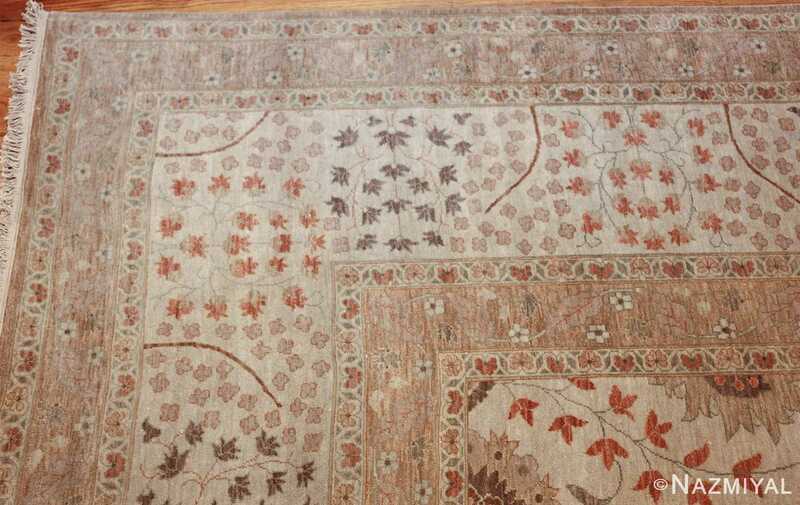 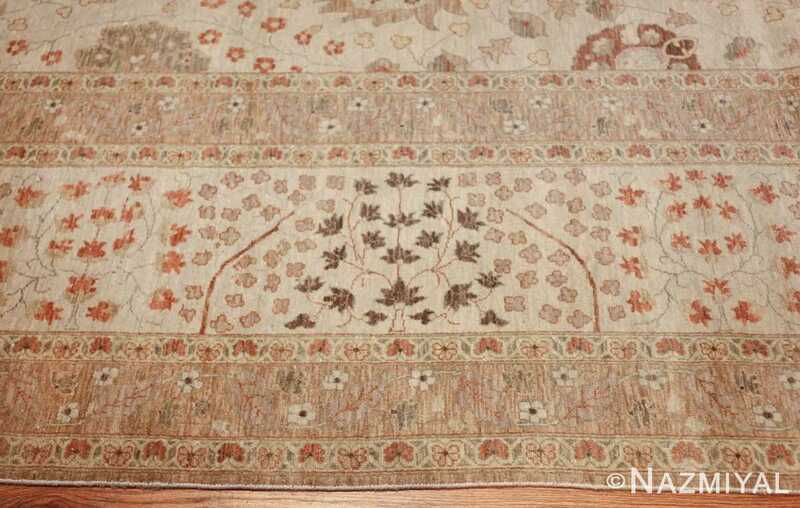 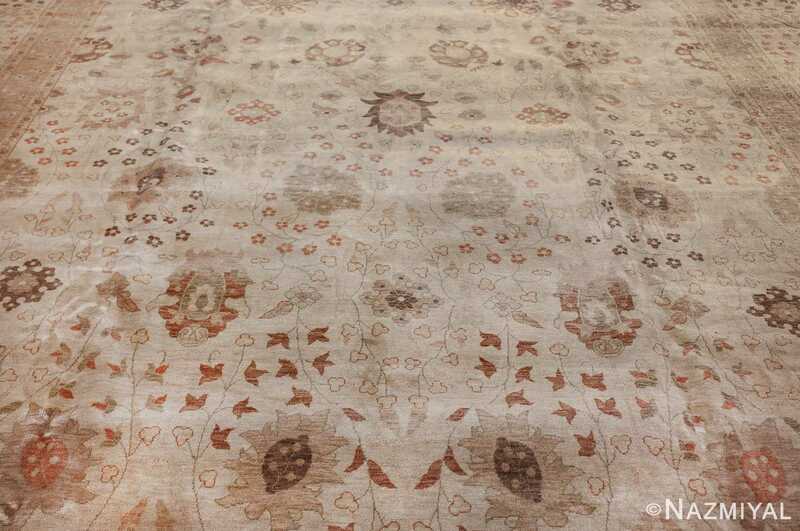 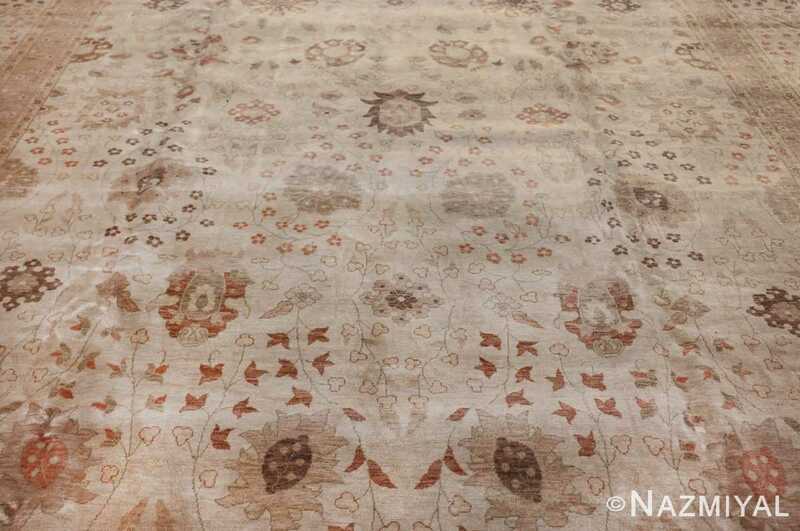 Branching shrubs rendered in contrasting earth-tone colors create a stunning mosaic-like effect in the borders, which complements the delicate botanical motifs used within the gently colored field of this breathtaking modern rug. 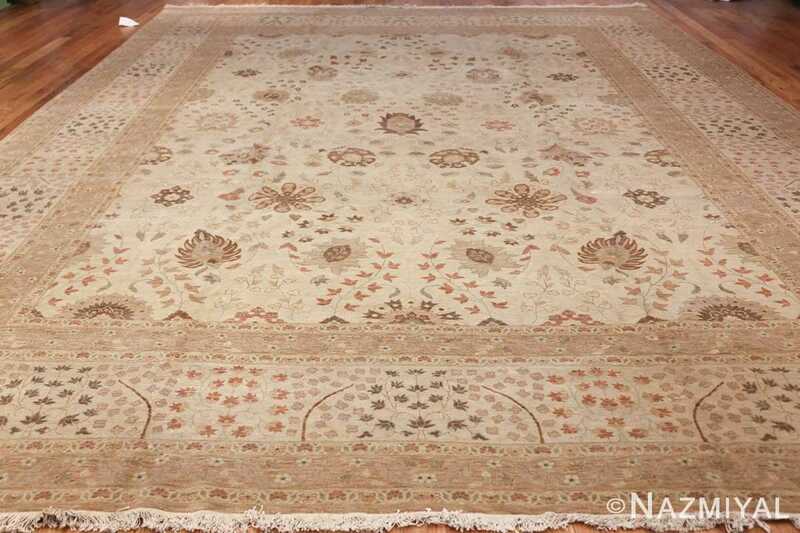 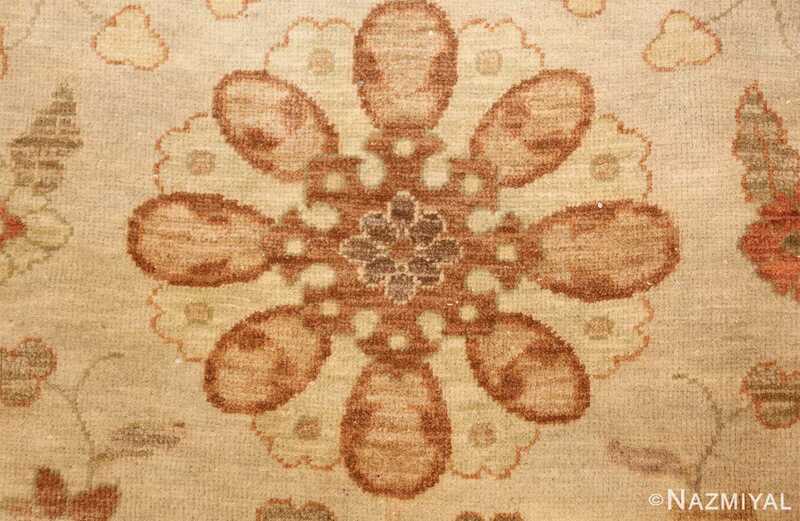 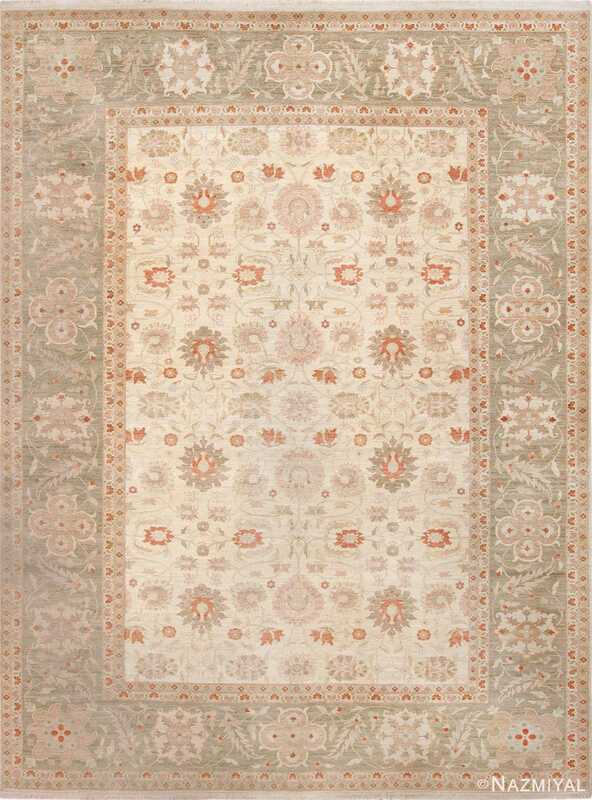 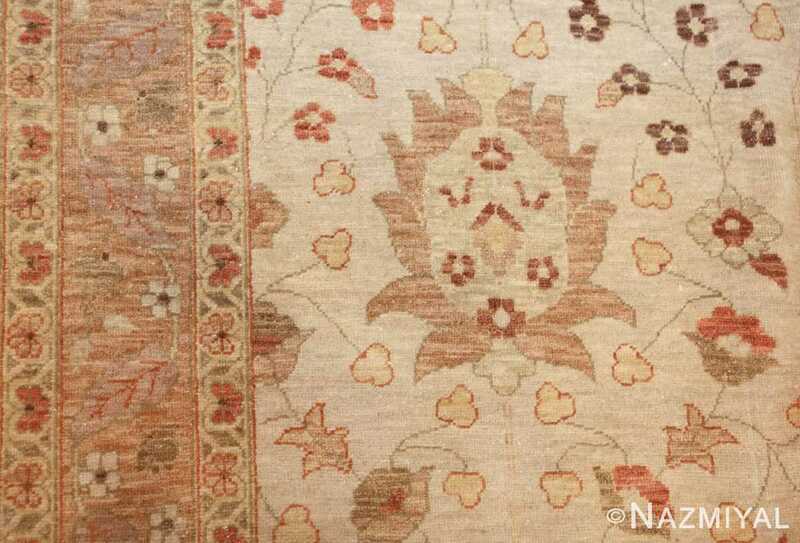 This elegant Tabriz-style carpet features a complex all-over arabesque woven in a traditional muted color scheme associated Tabriz.